I approach Kabbalah within Orthodox Judaism via an unorthodox method, integrating both yeshivish and chassidic styles to provide a holistic view. I advocate for a relationship with G-d and aim to help listeners discover theirs. This is a beginner's approach to relational living. This podcast is a project of YidBrik - Building Jewish Bridges. Learn more at YidBrik.com/Kabbalah. The Pesach Haggadah tells us of four sons. The PaRDeS Aggadah tells us of four men that journeyed through the four levels of the garden. These narratives are metaphors to show us a path. Do you see the connection? The bird in the pan or the bird in the bush? PhD or MD? Where does Kabbalah fit in? Balance isn’t the right Kabbalistic concept - Harmony is. It’s an essential difference that changes how we understand yachad - unity - and HaShem. Pesach is coming. We clear the physical of chametz, but what does it mean to deal with spiritual leavening as well? Tune in to find out! Learn more about TM, Jewish TM, mantras, and shalom in this episode. We reap what we sow. Just like a bank account, there is a return on dividends, in a way. How much do we invest in our pursuit of relationship with HaShem? That helps define the quality and depth of our spiritual tether. In this episode I discuss the mandorla roles of Rabbi and Rebbe. The resonant harmony of Torah requires us to hear and speak. How does this affect those both deaf and mute? Or is it prayerful meditation? You’ll have to decide for yourself. This episode hashes out a prayer and meditation concept by Rabbi Nachman Breslov. Why all these civil laws in the midst of religious life? What’s that have to do with being Jewish? Judaism teaches separating sacred and mundane. How does that apply in our lives? Can we take it too far? There are 50 gates to HaShem and mankind can access 49 of them. When we can’t find our gate, what do we turn to? The Psalms. Rabbinic fences have value. My own experiential metaphor of the brace connects. I’ve been off the air due to an accident. During this time l learned the value, and struggle, of habits. Tune in to learn more. We see one of the first direct references to meditation being connected to prayer in Parasha Chaiyay Sarah. Time the time to mourn. We are mishpacha - family. Don’t rely on just knowledge, emotion, or spirituality to connect to HaShem. Find a holistic and unified approach. Take a moment and enjoy the beauty and magnificence of creation. Transform it into praise. Don't judge Judaism by the media - judge it by the Torah. Don't live a fast food faith - live a meaningful connection to the Infinite. Sukkos is a holiday if remembrance and a foreshadow of what’s to come. Our temporary dwelling is more than a sukkah - it’s our life. Kabbalah is necessary, but credible sources are essential. Rosh Hashanah and Yom Kippur recall holiness and judgement. At the same time, we’re supposed to have faith in a loving G-d. How do we reconcile these opposites? Miniscus. A big scientific word for a small spiritual barrier. How do we break through? Rain is one of the most beautiful expressions of weather HaShem can give us. However, it needs a harmonious balance. We don't need motivational speakers or snazzy Instagram quotes. We have Torah - our living relationship with HaShem. In this month of Elul we take stock. We seek relationship with HaShem. Take advantage of that jump-start and keep it going throughout the year. How we act and speak has spiritual impact. Listen to learn more about this circle. In this episode, I discuss the spiritual association of Tisha B'Av on the calendar. Relationship with HaShem isn't an equation - it's an art form. In this episode I talk about the Three Weeks from an inner heart perspective. How do these twenty-one days impact you? The Shema is a statement. Is it One, Alone, or One & Only? How about all of them? Episode 12: The Danger of Kabbalah...? In this episode we discuss what is dangerous, and what is safe, in Kabbalah and meditation. Judaism is not a checklist - it’s a relationship. Find beauty in the mitzvoth and help others succeed too. Prayer is a critical part of a relationship with HaShem. Davening is our manual and starter's guide. The body is an amazing wonder we often overlook. That is why we need to say Asher Yatzar. How do we ascend? How do we live how HaShem wants us to? It's easier than you may think. In this episode I discuss my visit to the Kotel and how it impacted me. Orthodox Judaism tells us what and how. But what about the why? Don’t let the mountaintop experience fade away when you experience the valleys of everyday life. Keep it real and in your heart, everyday. Make this Shavuos a special time to connect. When we save a sin for later. Episode 1: Who and What is Kabbalah Pod? 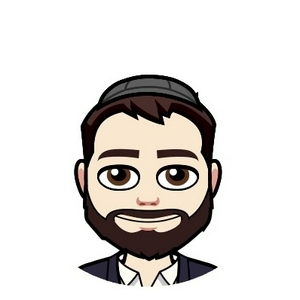 In this introductory episode, meet Yoni, learn what this podcast is about, and how Yoni is qualified to talk on the subject.